During your last two years at high school, you thought you were ready for the transition that awaited. College was what you always wanted. You know what school you want to go to. However, you didn’t expect the admissions process to be this stressful. You’ll have to write a unique college essay for each school you’re applying to. Then, you’ll wait. The admission essays are a crucial part of the application process. College admission boards pay attention to the GPA and SAT scores, but this essay is what gives character to your application. It will make you a memorable candidate that everyone wants in their school. Here at RushEssay.com, we can help you write a unique, high-quality application essay based on your instructions. It will open your doors to the higher education you want. The writers of our service have individual approach to each customer. This means you’ll get a custom-crafted essay that showcases your strengths and interests. We’ll take your instructions and turn them into the best application essay you’ve ever seen. Our writers are trained and qualified to complete application papers according to the standards of all universities. They will check the guidelines from the school of your choice, and they will tailor a unique essay that meets the expectations of the admission board. Our college admission essay service enables direct communication between the writer and the customer. You can explain what you want to see in this paper and monitor the work of your author along the way. Scholarship Essay – For most students, it’s impossible to attend college without a scholarship. The application process for scholarship is really stressful. You’ll have to write a unique essay for each program you apply to. If you get stuck, we’re here to help. Personal Statement - Although it’s similar to the application essay, it’s not quite the same thing. The personal statement is a requirement for business, medical and law school, as well as for all MA and PhD educational programs. It should describe your achievements and interests. Sometimes you need to answer specific questions in it. We trained our writers to write high-quality personal statements, too! Editing – You completed your own application papers, but you need a helping hand with the editing process? Our professional editors will boost the quality of your writing! You can buy admission essay from several websites, but not all of them deliver what you need. Allow us to explain why RushEssay.com is the best choice you have. You’ll read positive reviews for us all over the web. That’s because customer satisfaction is our main principle. We aim to meet the expectations of every single student who counts on our help. The ordering process is really easy. You submit an order form with your instructions, we find the perfect writer for you, and you start communicating with them. If you have no time to work together with the writer, you can leave everything to them. The content we deliver is 100% unique. You’ll have a plagiarism-free admission essay that expresses your interests, goals, and points of view. We’ll work under your instructions! If you’re not happy with the content we deliver, we’ll provide revisions free of charge. We won’t stop working until we deliver what you need. Let’s talk about the prices. They are very affordable! Plus, we offer discounts that enable every college applicant to get their essay online. We offer 24/7 customer support. Feel free to use the live chat feature, call us, or send an email at any time. You won’t have to wait for your response. 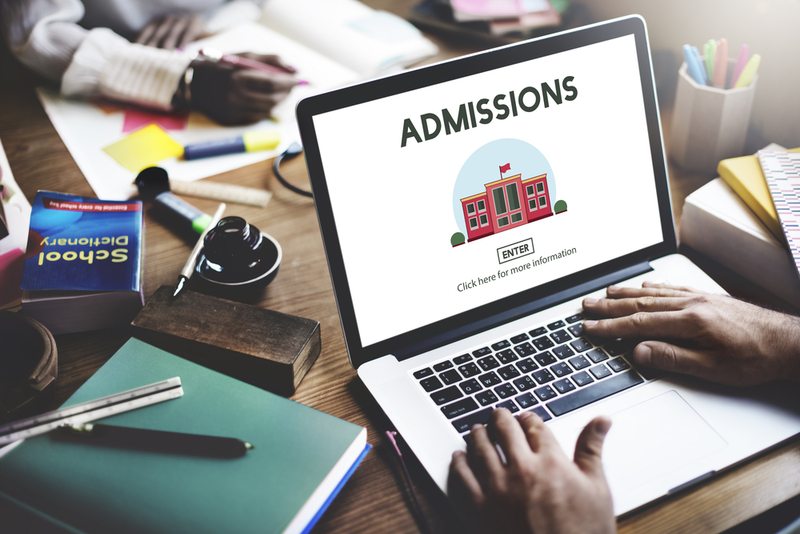 Are you ready to make the admission process much less stressful? Order your essay today!